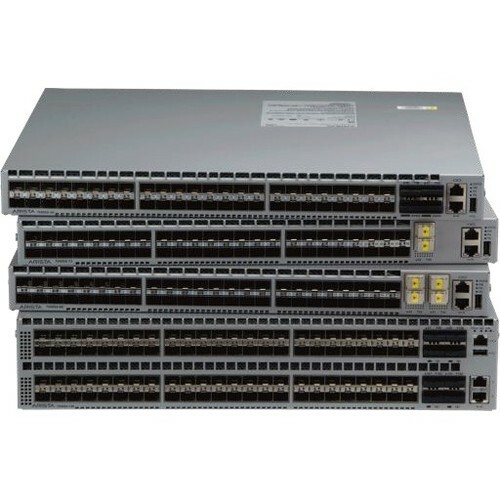 The Arista 7050QX-32 and 7050QX-32S are members of the Arista 7050X Series and key components of the Arista portfolio of data center switches. The Arista 7050X Series are purpose built 10/40GbE data center switches in compact and energy efficient form factors with wire speed layer 2 and layer 3 features, combined with advanced features for software defined cloud networking. Increased adoption of 10 Gigabit Ethernet servers coupled with applications using higher bandwidth is accelerating the need for dense 10 and 40 Gigabit Ethernet switching. The 7050QX-32 and 7050QX-32S support a flexible combination of 10G and 40G in a highly compact form factor that allows customers to design large leaf and spine networks to accommodate east-west traffic patterns found in modern data centers, high performance compute and big data environments.